THE first chief executive of Network Rail has dismissed the present system of rail franchising as ‘bust’. 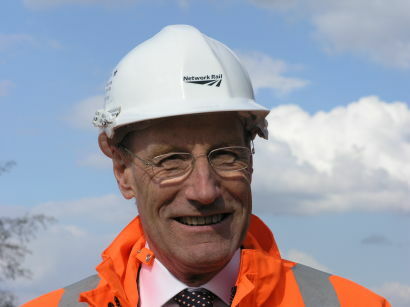 Sir John Armitt, who is now chairman of the National Infrastructure Commission, has highlighted the facts that Network Rail was ‘effectively renationalised’ in 2014, and that franchise holders shoulder high commercial risks because, he claims, the Department for Transport takes the highest and most optimistic forecasts of revenue when considering bids. Sit John, who was in charge during the transition from privatised Railtrack to ‘not for dividend’ Network Rail in 2001-02, said the degree of revenue risk accepted by franchise-holders had ‘got them into trouble’, such as when Stagecoach and Virgin were forced to surrender the Intercity East Coast franchise in May. They were the third operators on the route to retreat at an early stage. In each case, VTEC, GNER and National Express all found that revenues were not enough to meet the premiums they had promised to pay. Other franchises have also needed to prop themselves up recently. Abellio pumped an additional £10 million into ScotRail and FirstGroup made provision for a total deficit of more than £100 million on Transpennine Express between now and 2023. Related problems have also appeared, particularly since 20 May this year when both Govia Thameslink Railway and Northern proved unable to operate new, ambitious timetables. These have since been cut back, and the Rail Delivery Group has now said that the next round of timetable changes in December this year will be much less radical. Sir John told the BBC: “The rail franchise companies, as we've seen, have to take very significant revenue risk, and that's got them into trouble, because the government will always go for the most optimistic forecast of revenue. "That model, I think, is bust, and it needs to be reviewed, and a more appropriate sharing of risk on the railway needs to take its place." The DfT says it applies a ‘deliverability test’ when assessing franchise bids. When National Express won the Intercity East Coast contract in 2007 it was widely rumoured that another bidder had offered even higher premiums, which the DfT decided would not be achievable.